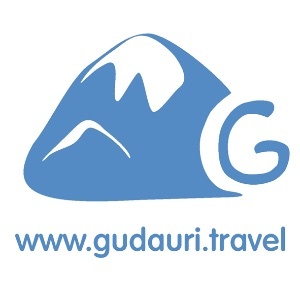 Below you can find all Gudauri Ski Resort hotels. Information is regularly updated. Due to the difficulty in classification of Gudauri hotels in accordance with international "star" ratings, all hotels in the hotel catalogue are described with the German criteria for accommodation: Budget accommodation, Standard accommodation, Comfort accommodation, First class hotels. BB - Included breakfast only. RO - accommodation without food. with beautiful views, newest, with bar and lounge areas, Get-together (, modern, good choice for a company of friends, right at the ski lift, close to the ski trails, Free shuttle to the ski lift, up to 100 meters by foot, Standard accommodation, BB - Included breakfast only. with beautiful views, newest, close to the center, Delicious Georgian cuisine, with bar and lounge areas, modern, child friendly, good choice for a company of friends, not far from the ski lift, Free shuttle to the ski lift, 300 - 500 meters by foot, Comfort accommodation, HB - Half board. with beautiful views, close to the center, with bar and lounge areas, Get-together (, modern, child friendly, right at the ski lift, up to 100 meters by foot, First class hotel, HB - Half board. close to the center, not far from the ski lift, 200-300 meters by foot, Budget accommodation, HB - Half board. newest, close to the center, Delicious Georgian cuisine, with bar and lounge areas, not far from the ski lift, Near Ski Trails, Standard accommodation, HB - Half board. with beautiful views, newest, modern, child friendly, right at the ski lift, up to 100 meters by foot, Standard accommodation, RO - accommodation without food. with beautiful views, newest, Get-together (, modern, child friendly, good choice for a company of friends, right at the ski lift, up to 100 meters by foot, RO - accommodation without food., equipped kitchen. with beautiful views, newest, close to the center, with bar and lounge areas, Get-together (, good choice for a company of friends, close to the ski trails, up to 100 meters by foot, Standard accommodation, RO - accommodation without food., equipped kitchen. newest, close to the center, close to the ski trails, not far from the ski lift, Near Ski Trails, Standard accommodation, HB - Half board. with beautiful views, close to the ski trails, not far from the ski lift, 200-300 meters by foot, Budget accommodation, RO - accommodation without food. with beautiful views, newest, with bar and lounge areas, modern, child friendly, right at the ski lift, Near Ski Trails, First class hotel, HB - Half board. newest, not far from the ski lift, Near Ski Trails, Budget accommodation, HB - Half board. with beautiful views, newest, close to the center, Delicious Georgian cuisine, with bar and lounge areas, modern, child friendly, not far from the ski lift, Free shuttle to the ski lift, 300 - 500 meters by foot, Comfort accommodation, BB - Included breakfast only., HB - Half board. child friendly, good choice for a company of friends, not far from the ski lift, 200-300 meters by foot, Budget accommodation, RO - accommodation without food., equipped kitchen. with beautiful views, newest, Delicious Georgian cuisine, with bar and lounge areas, child friendly, right at the ski lift, up to 100 meters by foot, Comfort accommodation, RO - accommodation without food. Delicious Georgian cuisine, good choice for a company of friends, Budget accommodation, RO - accommodation without food. Get-together (, good choice for a company of friends, 500 - 1000 meters by foot, Budget accommodation, BB - Included breakfast only. with beautiful views, newest, with bar and lounge areas, modern, good choice for a company of friends, close to the ski trails, more than 1 km by foot, access to the ski trail on skis from the hotel, as well as return to the hotel on skis are possible, Comfort accommodation, HB - Half board. with beautiful views, newest, with bar and lounge areas, Get-together (, modern, child friendly, good choice for a company of friends, more than 1 km by foot, transfer from the hotel is possible, Budget accommodation, RO - accommodation without food. newest, close to the center, Delicious Georgian cuisine, with bar and lounge areas, good choice for a company of friends, not far from the ski lift, 200-300 meters by foot, Comfort accommodation, HB - Half board. close to the center, with bar and lounge areas, Get-together (, modern, good choice for a company of friends, not far from the ski lift, 300 - 500 meters by foot, Budget accommodation, HB - Half board. with beautiful views, Get-together (, good choice for a company of friends, right at the ski lift, up to 100 meters by foot, Budget accommodation, HB - Half board. with beautiful views, newest, close to the center, Delicious Georgian cuisine, with bar and lounge areas, Get-together (, modern, child friendly, good choice for a company of friends, right at the ski lift, close to the ski trails, up to 100 meters by foot, Comfort accommodation, BB - Included breakfast only., RO - accommodation without food., equipped kitchen. with beautiful views, newest, modern, not far from the ski lift, 200-300 meters by foot, Comfort accommodation, HB - Half board. with beautiful views, close to the center, Delicious Georgian cuisine, with bar and lounge areas, Get-together (, child friendly, not far from the ski lift, 300 - 500 meters by foot, Standard accommodation, HB - Half board. Delicious Georgian cuisine, with bar and lounge areas, Get-together (, Free shuttle to the ski lift, 300 - 500 meters by foot, Budget accommodation, HB - Half board. with beautiful views, with bar and lounge areas, Get-together (, child friendly, Free shuttle to the ski lift, more than 1 km by foot, transfer from the hotel is possible, Standard accommodation, HB - Half board. with beautiful views, close to the center, Delicious Georgian cuisine, child friendly, good choice for a company of friends, not far from the ski lift, 500 - 1000 meters by foot, Standard accommodation, HB - Half board. with beautiful views, Get-together (, good choice for a company of friends, close to the ski trails, not far from the ski lift, Near Ski Trails, Standard accommodation, HB - Half board. with beautiful views, newest, with bar and lounge areas, good choice for a company of friends, close to the ski trails, not far from the ski lift, 300 - 500 meters by foot, Comfort accommodation, BB - Included breakfast only. with beautiful views, Delicious Georgian cuisine, with bar and lounge areas, Get-together (, good choice for a company of friends, not far from the ski lift, Near Ski Trails, Standard accommodation, HB - Half board. newest, Delicious Georgian cuisine, Get-together (, modern, child friendly, good choice for a company of friends, close to the ski trails, 200-300 meters by foot, Standard accommodation, RO - accommodation without food. close to the center, not far from the ski lift, Near Ski Trails, Budget accommodation, RO - accommodation without food. newest, with bar and lounge areas, modern, child friendly, right at the ski lift, up to 100 meters by foot, Comfort accommodation, RO - accommodation without food. with beautiful views, newest, Free shuttle to the ski lift, Standard accommodation, BB - Included breakfast only. with beautiful views, newest, with bar and lounge areas, Get-together (, good choice for a company of friends, close to the ski trails, more than 1 km by foot, access to the ski trail on skis from the hotel is possible, Comfort accommodation, BB - Included breakfast only., HB - Half board. with beautiful views, Delicious Georgian cuisine, with bar and lounge areas, good choice for a company of friends, right at the ski lift, close to the ski trails, up to 100 meters by foot, Budget accommodation, HB - Half board. with beautiful views, newest, close to the center, 500 - 1000 meters by foot, Standard accommodation, HB - Half board. with beautiful views, with bar and lounge areas, Get-together (, good choice for a company of friends, close to the ski trails, 300 - 500 meters by foot, Standard accommodation, HB - Half board. with beautiful views, Delicious Georgian cuisine, with bar and lounge areas, good choice for a company of friends, not far from the ski lift, Near Ski Trails, Standard accommodation, HB - Half board. with beautiful views, with bar and lounge areas, modern, not far from the ski lift, Near Ski Trails, Comfort accommodation, HB - Half board. with beautiful views, newest, not far from the ski lift, 200-300 meters by foot, Standard accommodation, HB - Half board. with beautiful views, newest, with bar and lounge areas, modern, right at the ski lift, up to 100 meters by foot, Comfort accommodation, BB - Included breakfast only. close to the center, Delicious Georgian cuisine, with bar and lounge areas, modern, child friendly, not far from the ski lift, 200-300 meters by foot, Comfort accommodation, HB - Half board. with beautiful views, not far from the ski lift, 300 - 500 meters by foot, Budget accommodation, HB - Half board. with beautiful views, close to the center, Delicious Georgian cuisine, Get-together (, right at the ski lift, up to 100 meters by foot, Standard accommodation, HB - Half board. with beautiful views, Get-together (, good choice for a company of friends, close to the ski trails, more than 1 km by foot, access to the ski trail on skis from the hotel is possible, Budget accommodation, RO - accommodation without food. with beautiful views, good choice for a company of friends, 200-300 meters by foot, Standard accommodation, RO - accommodation without food. Delicious Georgian cuisine, with bar and lounge areas, Free shuttle to the ski lift, more than 1 km by foot, transfer from the hotel is possible, Standard accommodation, HB - Half board. with beautiful views, newest, Delicious Georgian cuisine, good choice for a company of friends, not far from the ski lift, 300 - 500 meters by foot, Budget accommodation, HB - Half board. 200-300 meters by foot, Budget accommodation, HB - Half board. with beautiful views, newest, with bar and lounge areas, modern, good choice for a company of friends, close to the ski trails, not far from the ski lift, 300 - 500 meters by foot, Standard accommodation, HB - Half board. with beautiful views, good choice for a company of friends, close to the ski trails, Free shuttle to the ski lift, more than 1 km by foot, access to the ski trail on skis from the hotel, as well as return to the hotel on skis are possible, Budget accommodation, HB - Half board. with beautiful views, newest, close to the center, good choice for a company of friends, 300 - 500 meters by foot, Budget accommodation, HB - Half board. close to the center, Delicious Georgian cuisine, not far from the ski lift, 200-300 meters by foot, Standard accommodation, RO - accommodation without food. newest, close to the center, with bar and lounge areas, child friendly, right at the ski lift, close to the ski trails, up to 100 meters by foot, Comfort accommodation, HB - Half board. Get-together (, good choice for a company of friends, not far from the ski lift, 300 - 500 meters by foot, Budget accommodation, HB - Half board. newest, Get-together (, good choice for a company of friends, not far from the ski lift, 500 - 1000 meters by foot, Budget accommodation, HB - Half board. newest, close to the center, with bar and lounge areas, Get-together (, good choice for a company of friends, not far from the ski lift, 200-300 meters by foot, Budget accommodation, HB - Half board. with bar and lounge areas, Free shuttle to the ski lift, more than 1 km by foot, transfer from the hotel is possible, Budget accommodation, HB - Half board. with beautiful views, newest, Delicious Georgian cuisine, with bar and lounge areas, modern, child friendly, close to the ski trails, Free shuttle to the ski lift, 200-300 meters by foot, Comfort accommodation, HB - Half board. close to the center, not far from the ski lift, 200-300 meters by foot, Standard accommodation, HB - Half board. Get-together (, good choice for a company of friends, not far from the ski lift, 200-300 meters by foot, Budget accommodation, HB - Half board. with beautiful views, newest, Comfort accommodation, BB - Included breakfast only. with beautiful views, newest, with bar and lounge areas, modern, First class hotel, BB - Included breakfast only.